As an experienced corporate branding agency, TRCREATIVE believe a brand is a company’s essence, it’s tone of voice, it’s personality, it’s vision, it’s culture. It enables you to stand out from your competitors, adds value not only aesthetically but also emotionally. It aids your relationships with clients and potential clients and motivates your team to live up to your corporate brand values. The first step is to define your brand values, these are the foundations for your personality and how you interact and perceived by customers and your own employees. Your brand values will feed your logo, your website and even your company name. Working with our senior creatives, we’ll embed ourselves into your company to help understand your target market. We love to partner with our clients to witness their brand grow and their target market engage with the new branding. As an end-to-end corporate branding agency, we can help you roll your brand out across all mediums and platforms. Or, if you’ve got a dedicated team in-house we can create detailed brand guidelines for your team to adopt. Choosing TRCREATIVE to help you develop your corporate brand personality means you’ll be dealing with a straight talking, friendly and talented bunch of people who have the imagination to set your visual identity apart from your competitors. 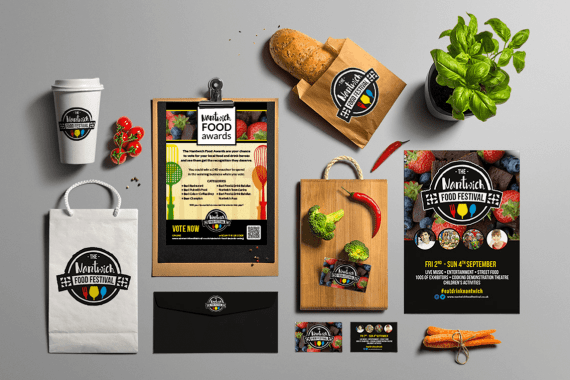 If you are looking for quality and creative logo design, Cheshire–based TRCREATIVE can deliver the brand you are looking for – one that creates positive perceptions and associations in people’s minds, and inspires loyalty and repeat business. Alternatively, if you already have a brand and looking for a refresh, TRCREATIVE are specialists in rebranding.